Thread: Who doesn't love a good dog rescue story? 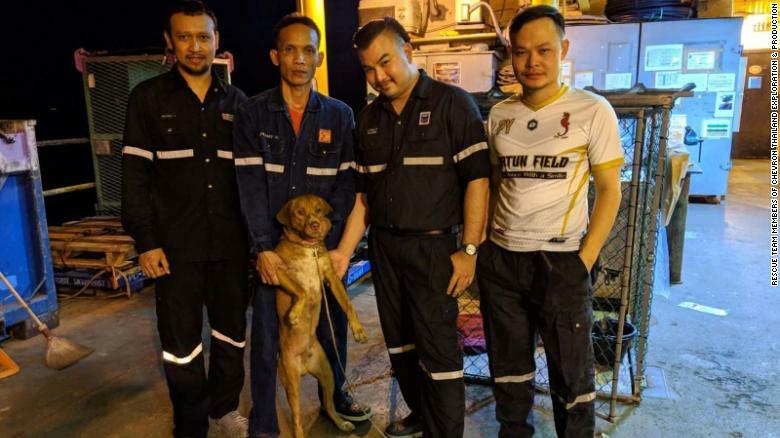 Bangkok (CNN)Workers on an oil rig some 130 miles (220 kilometers) off the coast of Thailand found an unexpected new friend swimming nearby: a dog. "I thought that if we didn't move quickly, I would not be able to help him," said Payalaw. "If he lost his grip, it would be very difficult to help him." Boonrod was so exhausted that it couldn't move much. "He looked extremely exhausted and ran out of energy. He didn't move much," Payalaw told CNN. "He was shaking and he couldn't stand, he had to sit all the time." 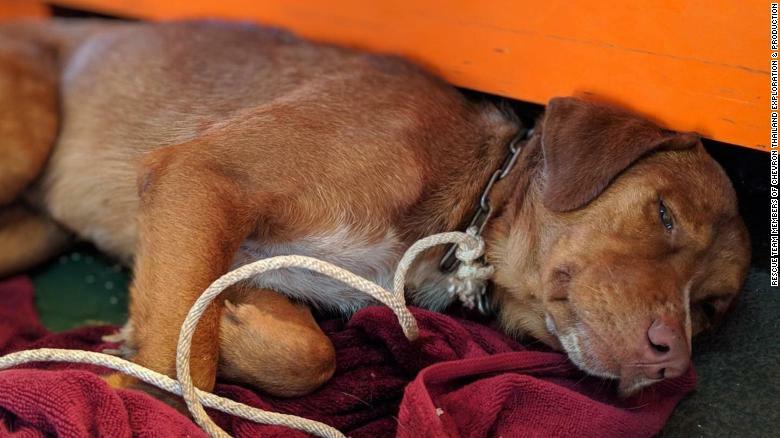 The dog was then transferred to an animal clinic in Thailand's Songkla province, the charity said on its unofficial Facebook page. Re: Who doesn't love a good dog rescue story? If they could only talk and tell of their story. I adopted a dog a few years ago and always speculate what kind of life she came from. She's the best behaved one I've ever had. 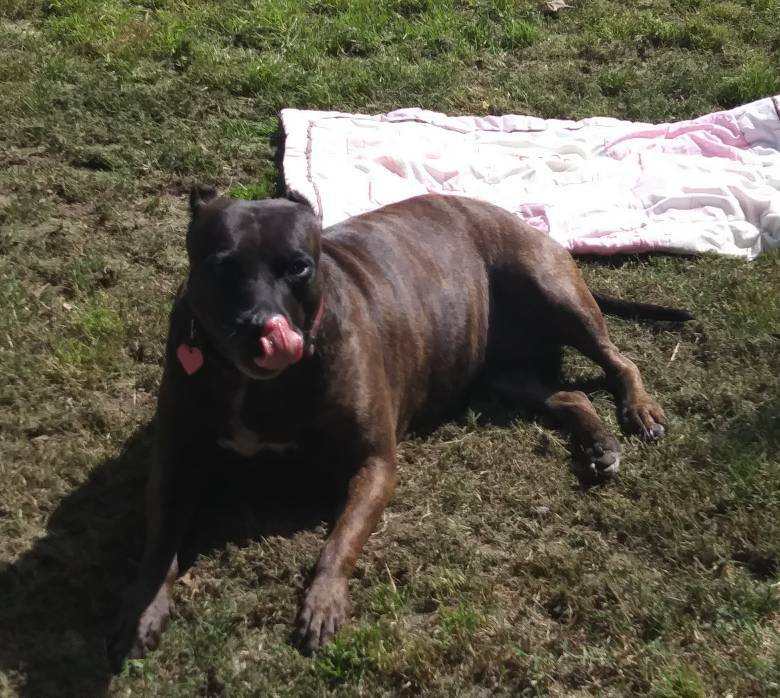 She was about 5 when I got her and HW positive. Last edited by Jellybeans; 04-16-2019 at 07:35 PM. All my dogs (including my current pair) have been rescues/shelter dogs too. I just cannot support breeding dogs when so many are homeless for no reason. 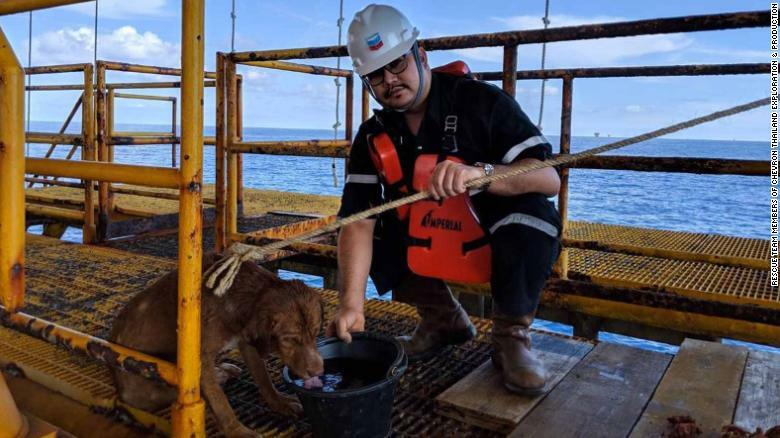 The dog rescued from the ocean had to have either fallen off a boat (why didn't they stop & help? -maybe didn't realize until later?) or been thrown over-board. Either way, it's awesome that he was saved, & if not claimed, is also spoken for by one of the men who helped him. Personally I feel dog breeding should not be allowed until the streets in the shelters are clear. That's my opinion and it will never change. Houston has a HUGE problem with strays. Makes you wonder how that dog got out in the middle of the ocean . I mean if you got your dog on a boat you should have your eyes on it at all times to make sure it doesn't fall overboard. OhMyGod! What an amazing rescue! I agree. I will NEVER get a registered dog as long as there's homeless out there.